Official Ocean Shore Railroad map, c. 1910s. 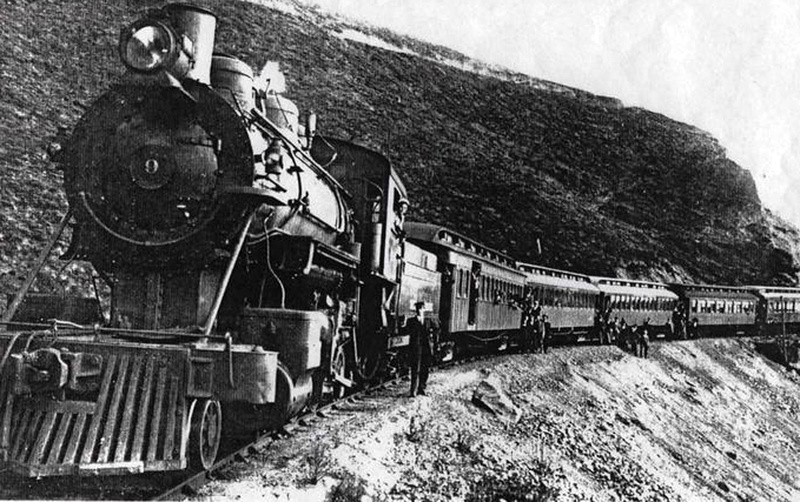 The years prior to the San Francisco earthquake of April 1906 were bonanza years for railroads along the Central Coast. Numerous plans were taking shape to settle the coast and connect it with both Santa Cruz and San Francisco. Surveys of the route between the two end points had been conducted in the 1880s and 1890s and already proven the feasibility of construction. All that was left was implementation. While no venture ever succeeded in connecting San Francisco and Santa Cruz, the Ocean Shore Railway Company came the closest. 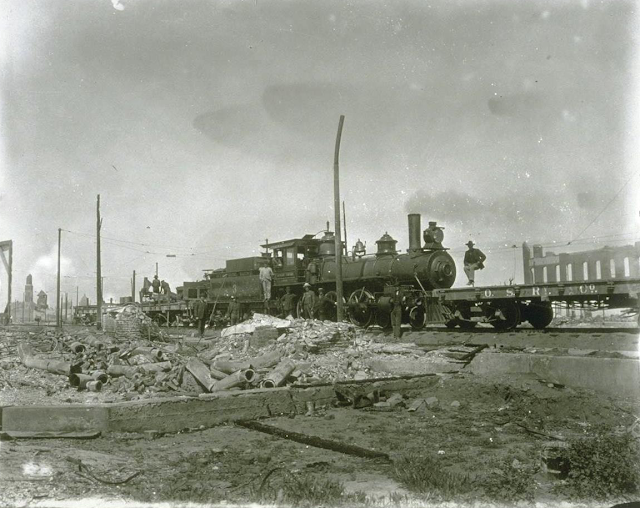 Founded on May 18, 1905, less than a year before the earthquake that led to its ultimate financial failure, the railroad was established with the explicit aim to connect the two cities via a double-tracked, standard-gauge, electric railroad line totalling eighty miles in length. A longer term goal of the company was to link up with other railroads that were under construction or being incorporated to build a new transcontinental line that would bypass the Southern Pacific monopoly on western rail transportation. Throughout the next few months, land was purchased for use as a right-of-way. The Ocean Shore, unlike other railroads, bought most of its land outright rather than buying rail easements through properties. This allowed them greater flexibility, but it also made everything drastically more expensive. But the Central Coast was still poorly developed, so prices remained reasonable. The railroad also purchased excess land in a number of bays south of San Francisco for future development as resorts, housing subdivisions, and commercial-industrial ventures. Large tracts of lumber in the Pescadero and Butano basins attracted the railroad, while the potentially lucrative cement market developing in Davenport also caught the railroad's eye. As construction began, it was clear in the south that the Ocean Shore Railway and Coast Line Railroad (a Southern Pacific subsidiary) would be competing heavily for the cement market. The Ocean Shore right-of-way was developed first, heading out of Santa Cruz down Delaware Avenue before turning toward the foothills, where it met with the Coast Line right-of-way just east of Wilder Ranch. The two lines more or less paralleled each other for the next ten miles to Davenport, with the Ocean Shore remaining on the ocean side throughout. This effectively blocked them from accessing the Santa Cruz Portland Cement Company plant, as well as a number of farms and homesteads which were located between the Coast Road (future State Route 1) and the railroad tracks. Shattuck and Desmond were hired to build both railroad routes, but Southern Pacific became delayed in late 1905, allowing the Ocean Shore to push ahead to Davenport without competition. 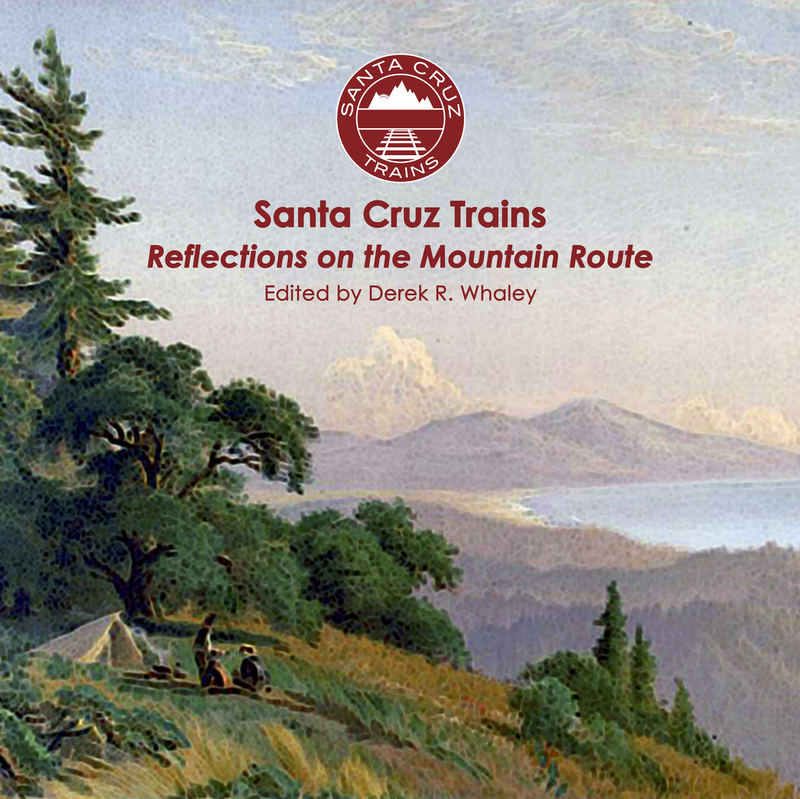 Between late October 1905 and January 1906, tracks were laid between Santa Cruz and Davenport and massive wooden trestle bridges were erected over roughly ten deep gulches south of the coastal town. Southern Pacific, risking the forfeiture of their shipping contract with the cement plant, outsourced to Ocean Shore until their line was completed later in 1906. Progress continued steadily. By April 1906, the Ocean Shore grading crews in the north had reached as far south as Devil's Slide near Pacifica, while in the south they had reached as far north as Scott Creek near Davenport. Plans were afoot to construct a small creekside resort along Scott Creek named Folger, after the investor and coffee magnate. The railroad had also purchased a subsidiary of the Union Traction Company, a streetcar company, in Santa Cruz to convert it to mainline service. A large depot was planned in downtown near the Cooper House that would have put the Southern Pacific depot to shame. And between Bay Street and Garfield Avenue (Woodrow), a sprawling maintenance yard developed that included numerous spurs and sidings, workshops and engine houses, and a wye to turn trains around. But the 1906 earthquake changed everything. Much of its equipment and right-of-way had fallen into the ocean and most of its investors were now struggling to remain afloat. In the south, construction continued after the temblor. Trains began regular service on June 15, while track-building to Scott Creek was finished in October. 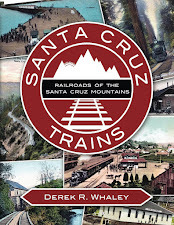 Fourteen miles of rail had now been placed out from Santa Cruz. Things began to fall apart in 1907. A financial panic that years deprived the company of many of its investors. Meanwhile, the recovery from the earthquake was going differently than planned—people were not moving out of San Francisco to the coast. Rather, they were rebuilding within the city limits. The future of the resorts and subdivisions planned along the coast were in doubt. Meanwhile, expenses in recovering lost equipment and rebuilding right-of-way deprived the railroad of much of its limited revenue. And lastly, the Coast Line Railroad was nearly completed. By August 1907, regular service between Santa Cruz and Davenport via the Coast Line began and the Ocean Shore was literally cut off from the main trade on both ends. In Davenport, the Coast Line extended its track to Davenport Landing, where it built a wye and numerous sidings and spurs, effectively blocking any transfer of material to the adjacent Ocean Shore tracks. 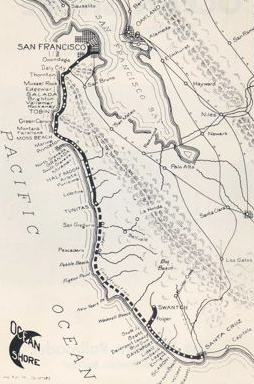 In Santa Cruz, Southern Pacific extended a spur out to Cowell Beach, blocking the Ocean Shore from entering Santa Cruz through their proposed route. Their alternative—building a massive causeway over the Southern Pacific yard and down Center Street—was rejected by the city council. They relocated their passenger depot from the temporary structure overlooking the Southern Pacific yards to a slightly larger building on Bay Street. It remains a mystery where passengers boarded, but passenger service largely fell off in 1908 and it never recovered. While the Northern Division seemed promising due to steady property sales and sustained interest, the Southern Division was stagnating and trending toward a loss. The Southern Division only survived due to the fortuitous interest of the San Vicente Lumber Company, which was founded in May 1908 to harvest the timber along Little Creek near the tiny hamlet of Swanton. Since the Ocean Shore had already built track to Scott Creek, it took little effort to convince the railroad to extend a track two miles up the creek to the confluence of Little Creek. The lumber firm build their large mill at Antonelli Pond, midway between the Ocean Shore and Coast Line right-of-ways, which allowed for an easy exchange of train cars between the two lines. At Swanton, the line was extended further to the base of Mill Creek, where the Loma Prieta Lumber Company built a mill. The Northern Division ultimately reached Tunitas Glen in late 1908, but this would be the maximum extent of the railway line. Twenty-seven miles of partially graded right-of-way still stood between Tunitas and Scott Creek, and this section would never be filled. Storms in early 1909 delayed further construction as portions of the existing right-of-way had to be repaired. Throughout the year, creditors called for repayment and the railroad fell further into debt. On December 6, 1909, the railroad went bankrupt. 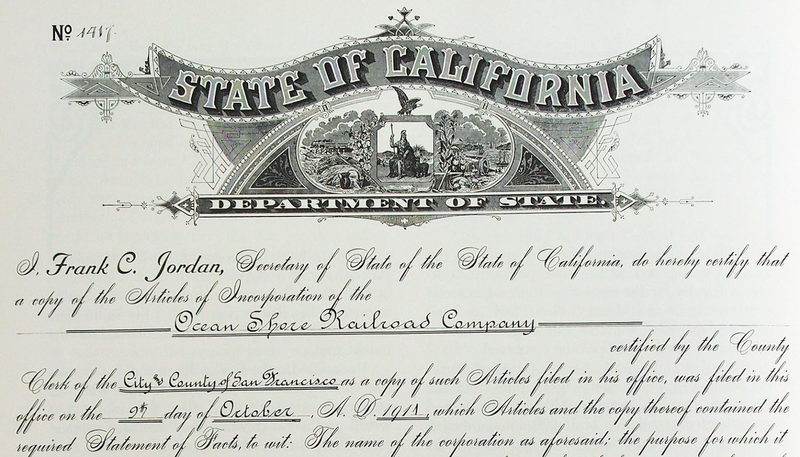 Bondholders of the company purchased the Ocean Shore at auction in January 1911 and reincorporated as the Ocean Shore Railroad Company on October 9. Although the new owners no longer advertised a double track or electric railroad, they did still seek to connect the two ends and ultimately expand further, to Boulder Creek, to Watsonville, and eventually to the Central Valley. Most of the plans for the Southern Division were on long-term hold, pending funds. Passenger service continued, with a Stanley Steamer autobus connecting passengers over the gap between Swanton and Tunitas from 1914, but it is unlikely this service was overly popular or heavily utilised. Most of the revenue in the south came from the San Vicente and Loma Prieta lumber operations above Scott Creek. By 1920, competition with automobiles had cut deeply into Ocean Shore pockets, while labor disputes in August across the line forced railroad operations to come to a sudden halt. This proved to be the end of the Ocean Shore Railroad. Both divisions were formally abandoned in October, the Northern Division on the 10th, the Southern Division on the 23rd. The right-of-way (but not property), tracks, and rolling stock on the southern division was sold to the San Vicente Lumber Company on October 27, which continued to use the route for the next three years. The Ocean Shore Railroad did not actually close at this time but rather remained as a property developer that maintained a distant hope that their railroad would someday be realized. After roughly a decade of court proceedings against them, largely over the fact that the company no longer operated a railroad, the Ocean Shore reincorporated once again, this time as the Ocean Shore Railroad Company, Inc., founded in Reno, Nevada on November 16, 1934. Like its predecessors, it was founded with the explicit, though perhaps not genuine, goal of rehabilitating the abandoned Ocean Shore right-of-way. The previous company had spent nearly fourteen years attempting to find the funds to rebuild the line while simultaneously defending its right-of-way from neighbors and others who wished to utilize it for other purposes. The incorporation of a new company was intended to fix some problems but the death in August 1935 of Selah Chamberlain, the new company's chief financier and dreamer, threatened to end this project before it began. In the nine months between incorporation and Chamberlain's death, the entire route was surveyed, new alignments were found, and portions were graded. Two decades later, however, it was found that this work was simply an attempt by the company to appear as if they desired to rehabilitate the line in order to maintain a firmer footing in condemnation proceedings which were being held against them for portions of the right-of-way. On September 28, 1956, it was ruled that the company had no intention to rebuild the railroad line and that condemnation proceedings could proceed against the organization. The company remains a property holder, essentially owning strips of right-of-way between San Francisco and Santa Cruz along the coast, but they have been absent from most public records since their last court cases in the 1970s. Who owns this company, how it operates, and indeed how much land the company still owns is not entirely known. Hunter, Chris. Images of Rail: Ocean Shore Railroad. Charleston, SC: Arcadia Publishing, 2004. Wagner, Jack Russel. The Last Whistle: Ocean Shore Railroad. Berkeley, CA: Howell-North Books, 1974.
that the autobus connection between the Northern Division and Southern Division tracks went from Tunitas to Swanton not Tunitas and Scott. The problem with Scott is that the Coast Highway at that time did not run through Scott but turned inland at Davenport Landing and went on to Swanton. Also the timetables for the Ocean Shore show no trains stopping at Scott or Scott Junction which surely would have been a regular stop if there was an autobus connection here. After the Ocean Shore was abandoned, the present Coast Highway was built through the area of where Scott and Scott Junction had been located. There is an interesting photo on page 64 of THE LAST WHISTLE of a tiny waiting shelter which supposedly served as the terminal for the Ocean Shore in Santa Cruz. It is at a slightly higher elevation than the Southern Pacific roundhouse in the background. Thank you for another great article Derek! In the bird's eye view of 1907 the artist has depicted a steam locomotive on the SP (Coast Line) tracks. You can see that its effluent plume is drawn in accordance with prevailing winds in the region. There appears to be a train on the Ocean Shore tracks as well, just west of Swift St. But no smoke or steam. I assume that's because it was intended to show an electric train? When Peter Nurse posted this image, he also posted the text of the franchise the City awarded to the Ocean Shore. It stipulated that their trains would be electric, not steam locomotives. Unless there was a legislated change, they were apparently operating in violation, of their franchise, at least within City limits. me except there is no listing for a turntable there or anywhere else on the Ocean Shore system. Good to see the Ocean Shore story told, sort of an epic story even if it failed. About the massive causeway over the SP yards to downtown, the city council didn't reject it, they actually approved it. City Ordnance no. 638, dated Sept. 17, 1907, grants the Ocean Shore the right to build a viaduct over the SP tracks and down to Pacific Ave. Sentinel reported big plans to put the Ocean Shore station at Cathcart and Pacific, heart of downtown, a poke in the eye for the SP. Seems there was major resentment of the SP locally, and the city council just reflected that sentiment, Ocean Shore passengers could have looked down on the SP from the viaduct, if it had ever been built. About court actions: the Ocean Shore collected a jury award for $275,000 from the Pacifica School District in 2002, for building part of Pacific Manor School on the OS right of way (see Chris Hunter's book, "Ocean Shore Railroad"). So the OS could collect more than a quarter of a million an entire 80 years after the OS went belly up. More than one way to make money in the railroad business. The school district then renamed that school the Ocean Shore School, might have been part of the lawsuit settlement. Or perhaps the school district had a sense of humor. On a local note, plans for the Marine Sciences Institute on the Westside call for a little short foot trail at the end of Delaware St., along the old OS right of way, to be called the "Ocean Shore Railroad Trail". Nice to see the Ocean Shore is still remembered. And about OS and SP laying track to Davenport: the Calif. Railroad Commission, in Decision No. 1620 (June 24, 1914) reported that the OS and SP had a joint contract to build track to Davenport. The OS would have two tracks, and the SP would have one track, and accordingly the OS would pay 2/3 of the cost and the SP would pay 1/3. The Commission says this contract was fulfilled in full. The Sentinel reported that both railroads were working together to get the OS track to Davenport first, so that the OS could fulfill the SP contract to provide machinery for the new cement plant (11/26/1905). SP provided a steam shovel to help get the job done, real collaboration. Presumably the OS had priority to get to Davenport because they were paying 2/3 of the cost, and they may also have purchased some of the right of way in advance. The Sentinel has various references to the collaboration and the joint track, ending with a report on 3/23/1906 that both railroads should finish the joint track to Davenport and both be connected to the cement plant within a week. Quite a story there, how fierce competitors collaborated and helped each other even. One factor probably was the north coast gulches. Wouldn't have made sense for each railroad to build its own trestles side by side, just reasonable that they shared the trestles at least..
where indeed the track actually slipped into the sea because a good deal of the track was inland including through all of it's San Francisco section. Railway Recruitment Board or RRB is under the control of the 'Ministry of Railway Goods Depot Government of India'. The RRB recruitment carries out the process of recruitment of candidates who have passed the examination conducted by the board. The main responsibility of the board is announcing vacancies in the Indian Railways and recruitment. I was walking up Evans Street recently and in crossing over a bridge built it said in 1941 where it ends at Cesar Chavez Avenue there appeared to have once been a railroad line going underneath that bridge many years ago. So I checked on the internet and sure enough at the intersection of Evans Street and what was then Army Street a railroad line that I had never heard of before called the Ocean Shore Railroad ran underneath it until at least as late as 1940 according to a photograph that had been taken there then. So that intersection it would seem must have been part of its route that had led to Daly City. Interesting, so now I know what line had once ran through there. A great big enormous gas tank had also once stood nearby at that time. Hard to imagine. So I'll have to go by there again sometime soon and see how it has all changed from 80 years in the past.